Shire Command Post Playhouse featuring its Optional Raised Platform for a Great View over the "Territory"! 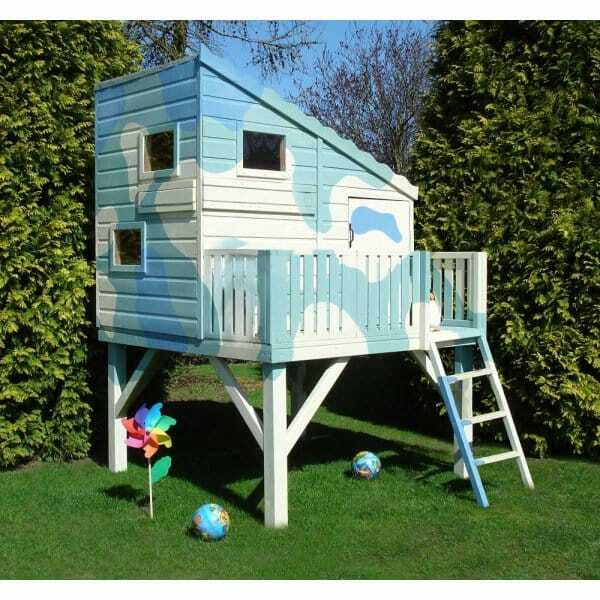 Superb playhouse which really encourages the children out into the fresh air in the garden. They can play for hours either alone or with family and friends and you are comfortable knowing that they are safely in the garden play house! Please note: this building is painted for illustration purposes only. This building is easy to decorate at home.